Manmeet of Meet Bros ringed in his birthday with brother Harmeet and celebrities including Karishma Tanna, Prabhudheva, Vivian D'Sena, Vahbbiz Dorabjee, Sunil Grover and others on Thursday (September 10). Singer Manmeet of Meet Bros ringed in his birthday with brother Harmeet and celebrities including Karishma Tanna, Prabhudheva, Vivian D'Sena, Vahbbiz Dorabjee, Sunil Grover and others on Thursday (September 10). 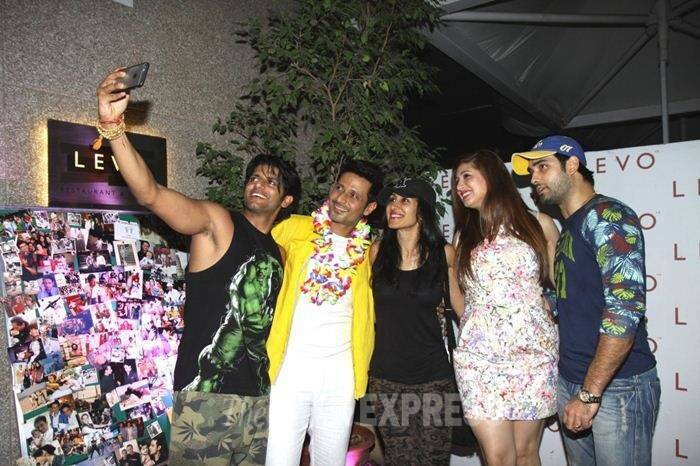 TV actors Karanvir Bohra and Vivian D'Sena were accompanied by their wives Teejay and Vahbbiz Dorabjee respectively. The couples pose for a selfie with the birthday boy here. Karishma Tanna, who rose to fame after her stint in 'Bigg Boss 8', was seen sans boyfriend Upen Patel. 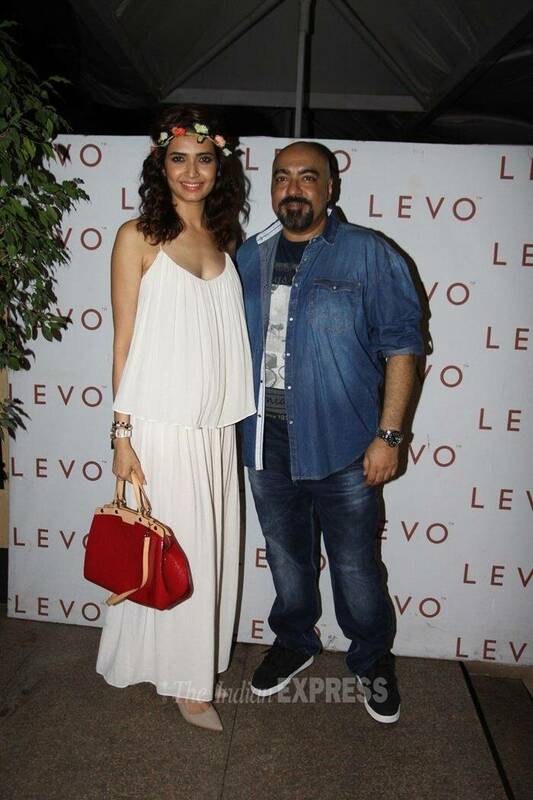 Seen here, Karishma poses with producer Vicky Tejwani. 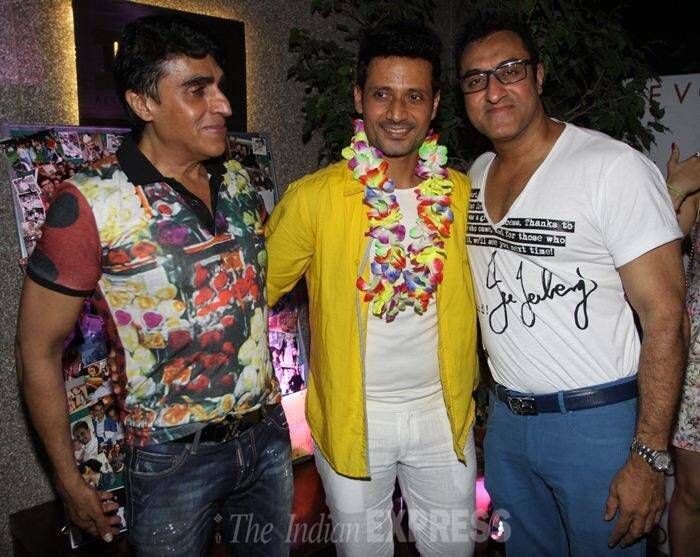 'Guthhi' of 'Comedy Nights With Kapil' aka Sunil Grover was also present at the birthday bash. 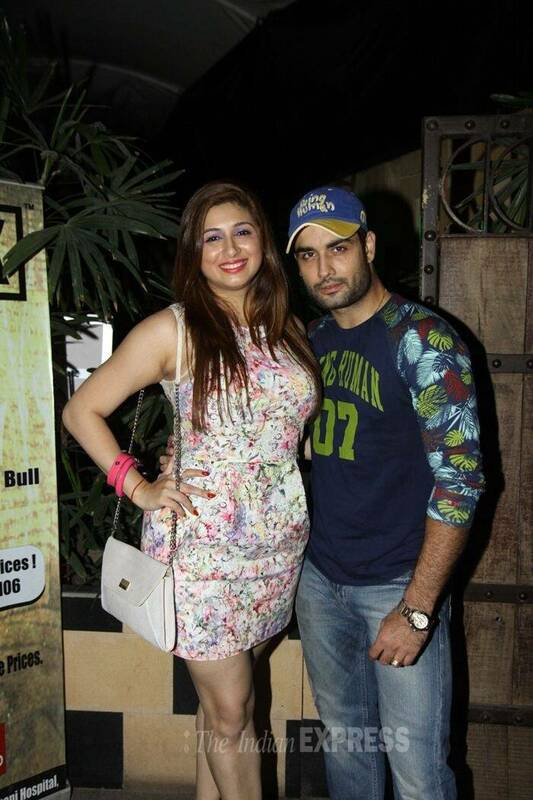 TV heartthrob Vivian D'Sena arrived with his wife Vahbbiz Dorabjee. 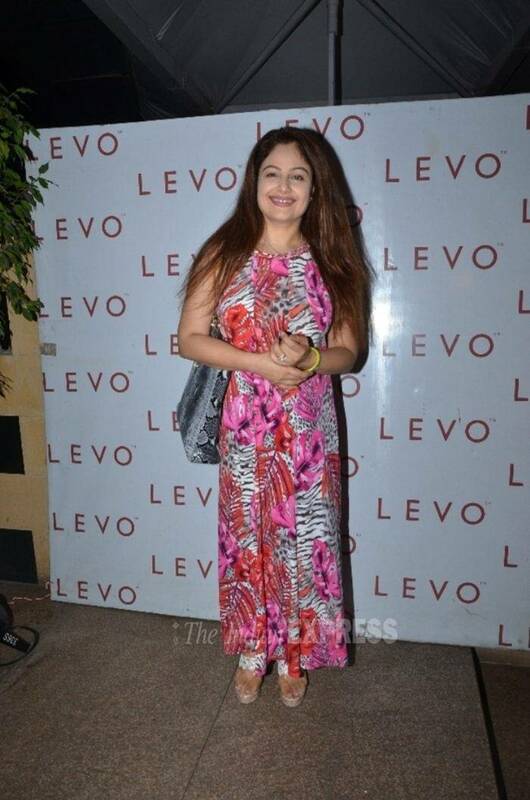 Former film actress Ayesha Jhulka wore a long printed maxi dress to the party. 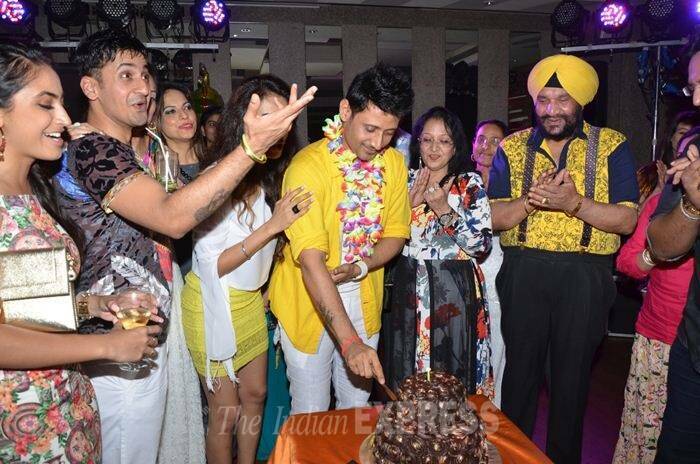 Manmeet cut his birthday cake in the presence of his family and friends. 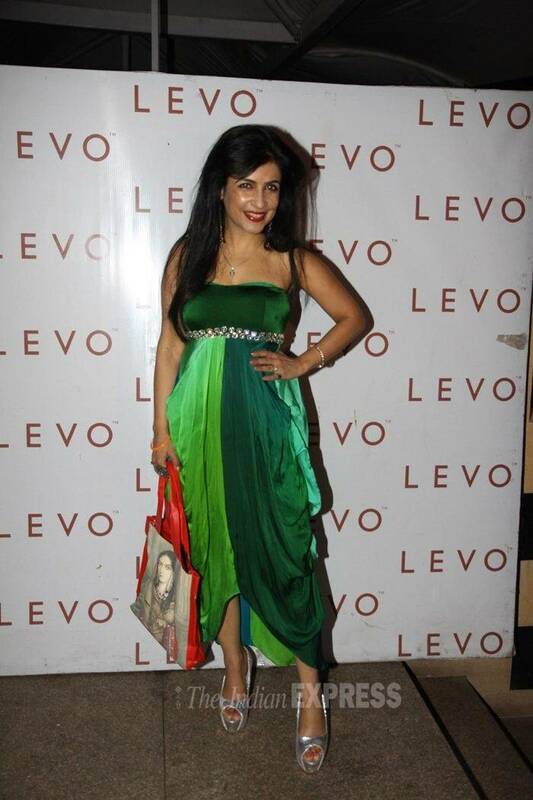 Singer Shibani Kashyap wore a green dress. 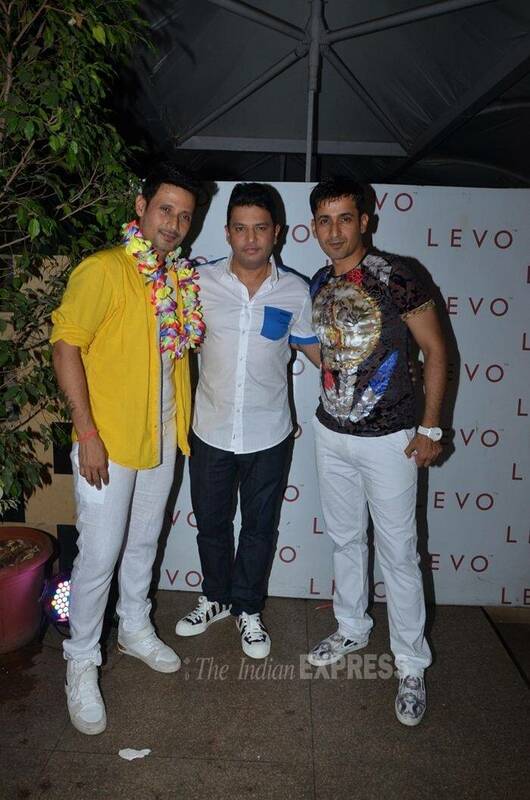 Meet Bros pose with the film and music producer Bhushan Kumar. 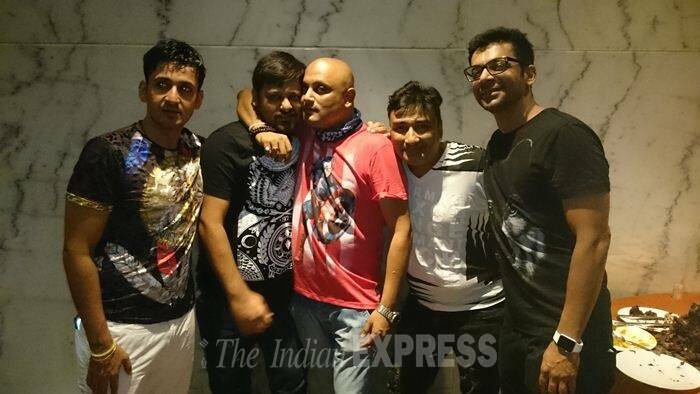 Harneet poses with friends Sajid, Raja Mukherjee, Anjjan and Sunil Grover. 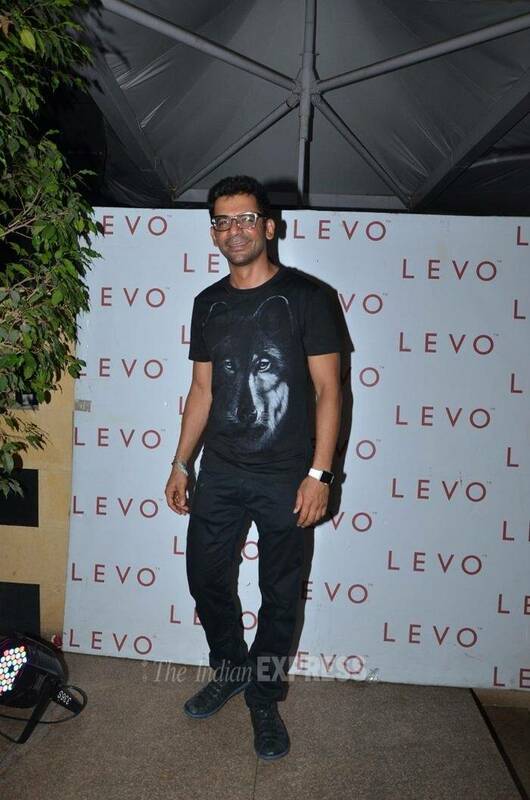 Singer Shaan was also in attendance. 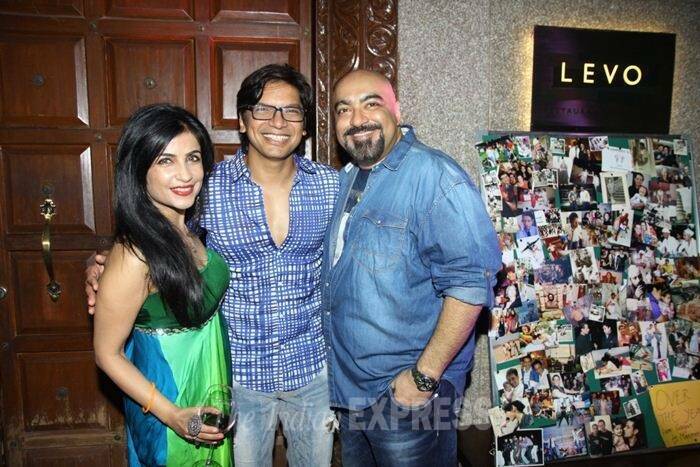 Seen here, Shaan along with Shibani Kashyap and Vicky Tejwani. 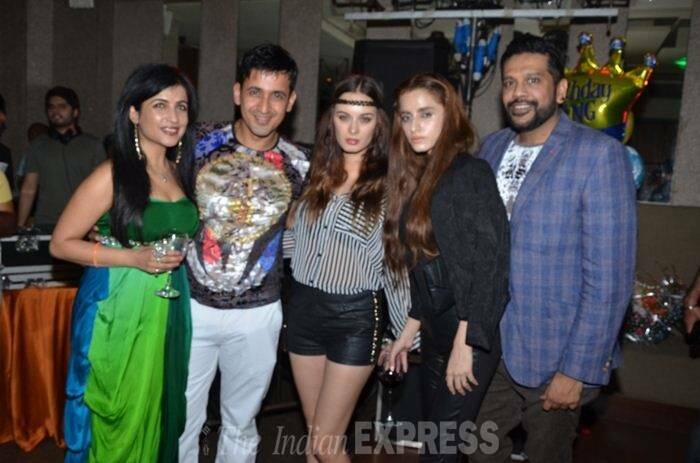 Actor Evelyn Sharma and designer Rocky S were also invited to Harmeet's birthday bash. Manmeet with film producer Karim Morani and his brother Mohomed Morani. 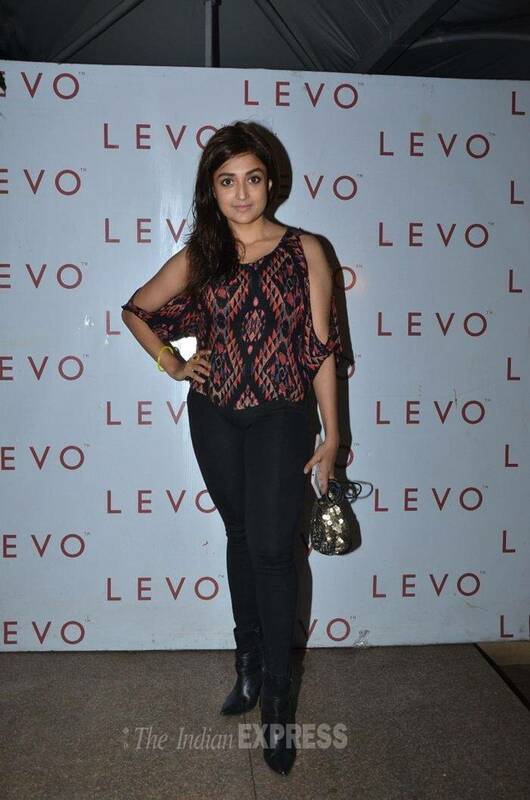 Singer-actor Monali Thankur was in a printed tee and black denims. Weightlifter Simple Kaur, who has also been seen in the show 'Oye Jassie' matched a white skirt with a yellow crop top.